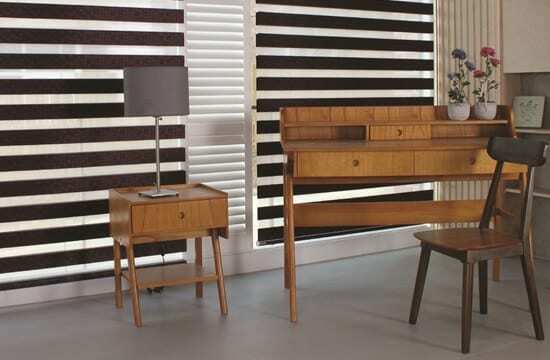 Surprisingly, not many people are aware of twin blinds. 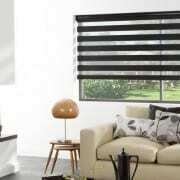 Twin blinds can be described as the two in one roller blinds, using just one roller to alternate two types of fabric layers. Some people even refer to it as roller venetians, based on the unique look and working mechanism. 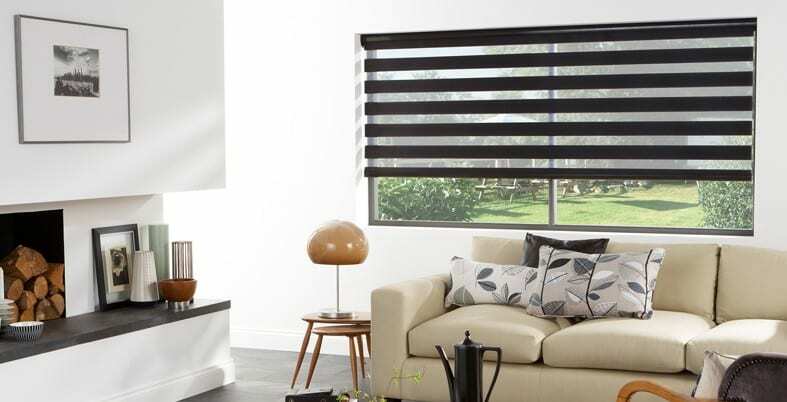 They offer a stylish look and ultimate light control with two contrasting fabrics in one shade for one window. You can now enjoy the day view through a light filtering, translucent fabric and switch over at night for a more dim out fabric to ensure greater privacy. Or you can just simply roll the blind up neatly to fully reveal the beauty of the outdoor areas! Twin blinds can add a pleasant texture and characteristic to any wall. You can opt to having a matching pelmet to complete the clean and stylish look. Our twin blinds are available in filtering fabric, or blockout fabric if you require maximum sun protection and privacy. Please enter a value between 400 and 2500. Please enter a value between 600 and 2800.